Leading Manufacturer of chiller tank from Coimbatore. We are engaged in offering a quality approved range of Chiller Tank to our clients. 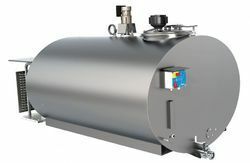 Looking for Chiller Tank ?